Salesforce Success Community: celebrating TWO MILLION MEMBERS!!! 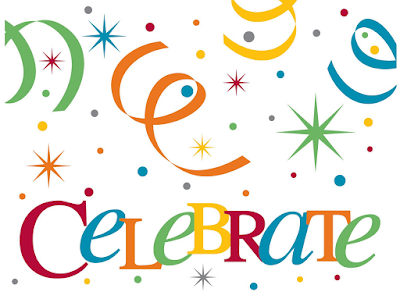 As of 1:20 PM PST on January 25, 2016 - Salesforce Success Community hit 2 million strong members, this is community success and the celebration of success! What is this mean? This is not total number of users in the world using Salesforce, but this is number of users registered in Success Community - http://success.salesforce.com. You need to have access to Salesforce paid version or Developer edition to test or build something. Answers: where you can ask questions anything under the sun related to Salesforce. But before post question, make sure to search existing questions. Someone else may have asked the same / similar questions, and someone else from community may have answer, and note for answer marked as best answer. But if no similar question exist, post your question and please provide most complete information, it would be better if you can provide screenshot, so other users in community can understand what is your issue or what are you try to achieve. 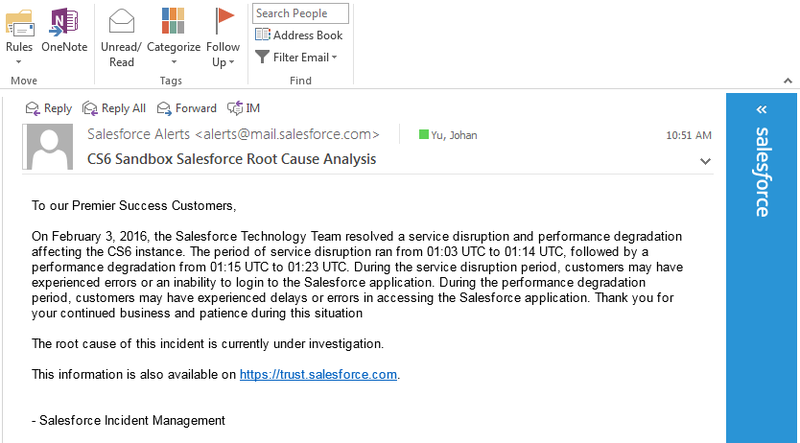 Note: user here is not Salesforce support, so we do not have access to your Salesforce org. Once your question has been answer correctly, do not forget to come back to the community to mark best answer, it will be help other users in the future with similar questions. Collaboration: this is similar with your internal Chatter, there is feed, people, group, and etc. But, I think Group is the most important one, where you can post specific question related to a topic, such as: Salesforce Workflow Automation, Release Readiness & Feature Adoption, ButtonClick Admin, Success - Premier Central, Salesforce for Outlook & App for Outlook, and many more. In many occasion, the respective Product Manager will monitor the group and answer your post. Ideas: once of the reason Salesforce become such a great products with so much features is because they are listening. 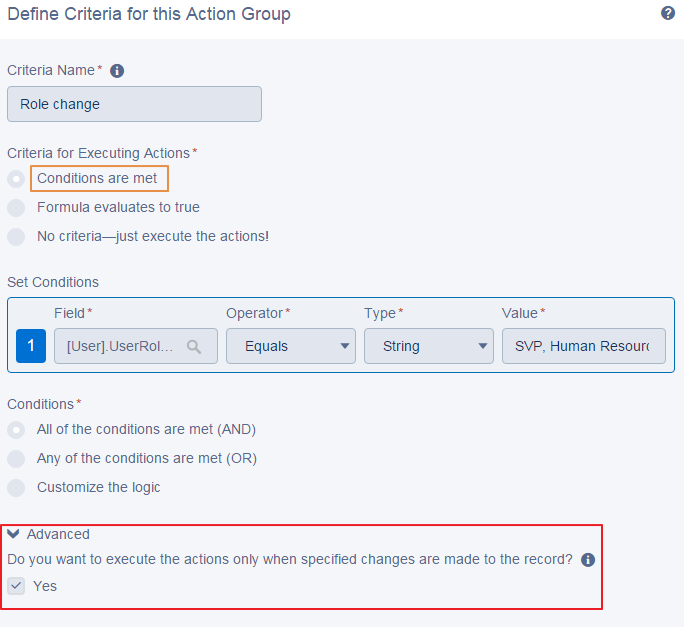 As Salesforce admin, sometimes I hit limitation that not able to configure something. IdeaExchange is the place for us as user to post Idea need to be available in Salesforce. Same as Answers, make sure you search existing idea before post, so we not create duplication. if the idea is exist and has not delivered, make sure to vote it. Each vote will add 10 points. Once it hit 2500 points, it will go to related PM for review. For me, Salesforce Success Community is a place where I spend my free time. I stay active in the community and it helps me to learn more and more about Salesforce. I learn more about the business requirements, solutions and best practice from other members. If my organisation has similar requirements in the future, I will already know the possible best solutions. There are many kinds of Salesforce user groups nowadays, from admin user group, business user group, developer user group, women in tech user group, industrial specific user group. 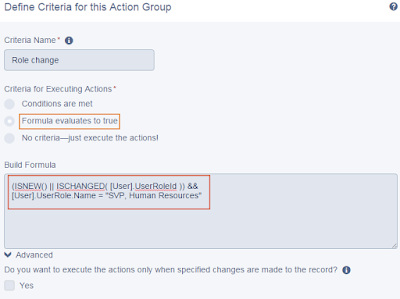 But, if you do not find a Salesforce user group close to your area, start a Salesforce user group for your city, or user group for your industry, or user group for your vertical. 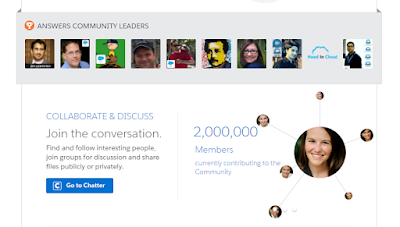 Maybe you have not actively involved in community, but hopefully you should start thinking about the interest in getting more involved in the community, whether online or in user group meetup. There are a ton of benefits that you not feel immediately, but for long run, you will know more people for networking, more knowledge in the platform, and remember that Salesforce technology is keep evolving. Feel free to reach me or any community members if any questions about Salesforce community, do not forget share your story, your experiences as well and hope to “see” you soon out there! When Add Email and Side Panel is enabled in Outlook Configuration under Salesforce setup menu: Setup | Administer | Desktop Administration | Outlook Configurations. 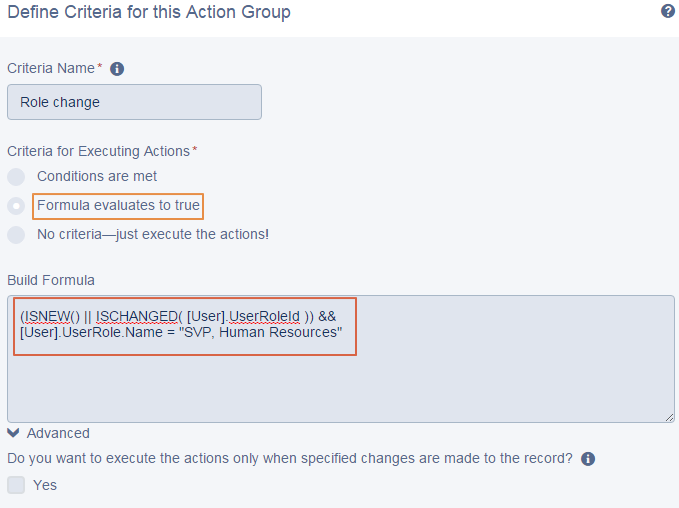 User will be able to add email open in Outlook to a Salesforce record: Account, Contact, Lead, etc from side panel. 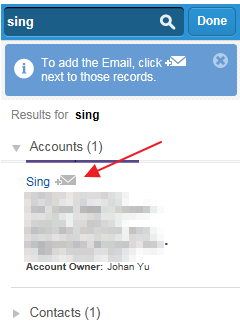 User just need to click envelope with plus icon next to the record, for this sample I will use Account. 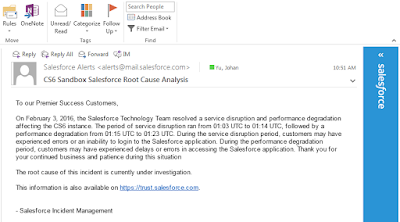 Added to Salesforce text show below email subject, even the email have been closed, open the email will show the message. When user open the Account, scroll down to Activity History, you should find the email added as a closed Task. 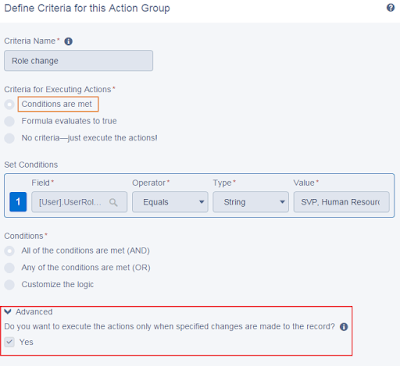 When you (Salesforce admin) configure Outlook Configurations in Salesforce setup, there is an option to enable Side Panel. If this setting enabled, users with Salesforce for Outlook installed, user will see a side panel at the right panel of Outlook, this panel will match email address from email open with data in Salesforce. It's understand that the side panel take some real estate in of your screen, you can simply click >> icon to minimize it. Scroll down to 'Salesforce Side Panel' and add it, then click OK. 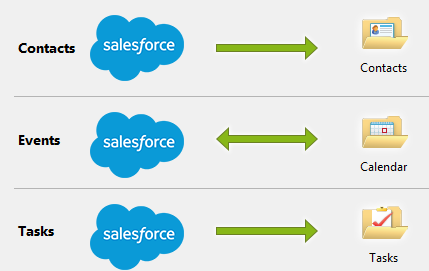 This will create the round icon, and if you click it, you will see the option to easily Show/Hide the Salesforce Side Panel. When it is hidden, it will take less resources, but the agent still active for sync process.